After acquiring sleep tracking company Beddit in May last year, Apple has finally launched a sleep monitor at a price tag of $149.99 (Rs. 10,700 approx). 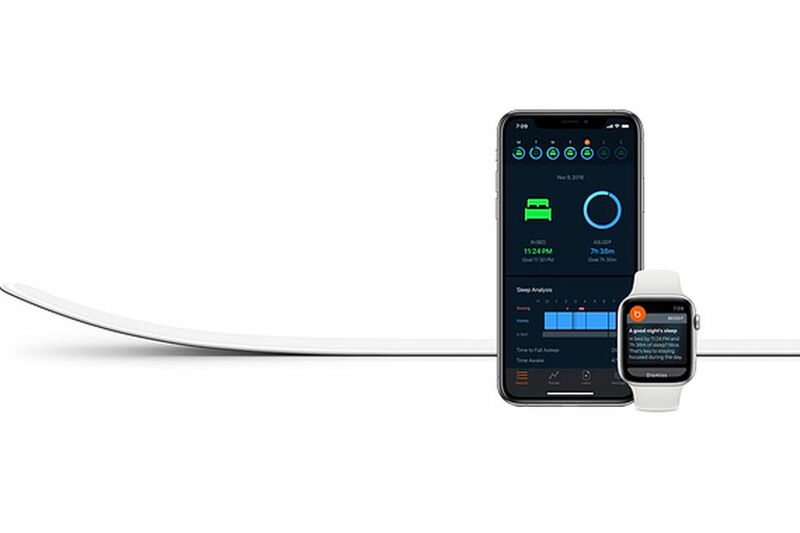 The Beddit Sleep Monitor 3.5 has been listed on the Apple website under the accessories section and is also available in Apple Stores. The latest gadget in Beddit’s range, Sleep Monitor 3.5 uses a separate Beddit Sleep Monitor strip to automatically track your sleep and provide you with vital statistics, in order to make you aware of your sleep patterns and habits. The good thing about Beddit’s latest gadget is that it’s not a wearable, instead it’s a thin and flat sensor strip which can be easily be attached to the side a bed. And considering that’s its only 2mm thick, it should have no problem in blending with the room aesthetics. All the data recorded by the sensor is transferred to the Beddit app (available for iPhone and Apple Watch). According to Apple’s listing, the monitor tracks sleep time, heart rate, breathing, snoring, and bedroom temperature and humidity. It can also motivate you with morning results, push out bedtime reminders and weekly reports to help you sleep better. The bed or mattress size don’t affect its working but you’ll have to use two sensor strips if there’s two people on the bed. One strip can only monitor the sleep of one person. It also syncs with the iPhone Health app, but requires iOS 12 or later to function.